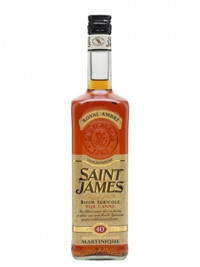 St James Royal Ambre Rum is a rhum agricole from St James Plantation on Martinique. Matured in oak for 18 to 24 months, this has notes of spice and figs. This is fantastic in a Planter's Punch with mango and pineapple.